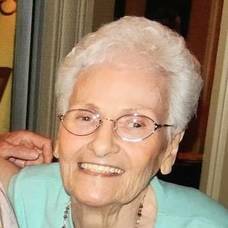 Doris Ann Merkler (Kelber), 87, of Bayville, NJ passed away on Tuesday, August 21st after a long illness. Doris was born in Cranford, NJ and spent most of her younger years in Elizabeth and Roselle Park, NJ. 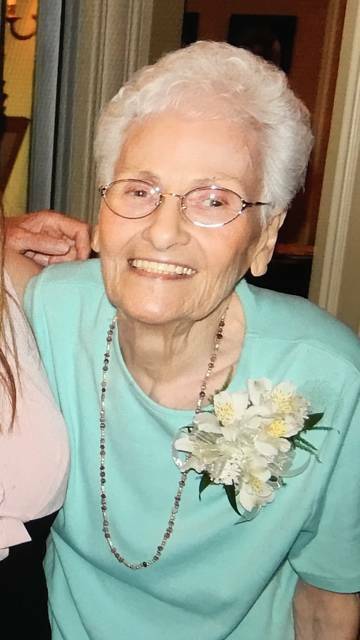 Doris graduated in 1948 from Roselle Park High School and won numerous awards for her fun personality and loving spirit. Growing up, Doris was very close to her Grandmother, Amanda Venable who played a very significant role in her life. After high school she went on to work as a switchboard operator for Bell Telephone before settling down and marrying in 1952 to her husband of 66 years Raymond Merkler. Early in her marriage Doris joined her husband oversees in France while he was serving in the US Army. While in France she made life long memories and friends and gave birth to their first of six sons. Doris and Ray eventually settled in Colonia, NJ were she dedicated her life to raising a family of six boys – Douglas, Stevie, Eddie, Bobby, John and Paul. The boys, Ray and her family were everything to her. She was a remarkable cook, homemaker and enjoyed preparing meals for her family and friends. Doris had a special love for nature and animals – dogs, cats, birds and ducks. She especially loved her cat Bailey who kept her company in her elder years. Doris and Ray retired in 1992 and moved to Hendersonville, NC and after 15 years returned to their roots back in NJ. Doris’s smile would light up a room – she loved hearing jokes, laughter and spending quality time with her grandchildren. She will forever be remembered by her family as a caring, non-judgmental person who would always see the good in everyone. She is predeceased by her parents Joseph and Mildred Kelber, brother Charles Kelber and sister Jean Fielding. Surviving is her husband Raymond Merkler of Bayville, brother Donald Kelber and his wife Karen of North Brunswick, her children: Douglas and wife Terry of Blairstown, Steve and wife Stacy of South Plainfield, Edward and wife Maureen of Lexington, KY, Robert and wife Doreen of South Plainfield, John of Glenwood, NY, Paul and Maryann of Hillsborough, ten grandchildren – Jennifer Wilson and husband Melford, Robert Merkler Jr. and wife Billy Jean, Derek Merkler and wife Courtney, William Merkler and wife Ashley, Alexa Merkler, Tucker Merkler, Hannah Merkler, Morgan Merkler, Claire Merkler, Anthony Carlson, and four great grandchildren – Grace, Nolan, Sawyer and Harrison. The family would like to extend their heartfelt thanks to the Spring Oaks staff for the love and care their Mom received over the last year. A private cremation and memorial service will be held for the immediate family. Doris’s final resting place will be near her parents at St. Gertrudes Cemetery, in Colonia, NJ.